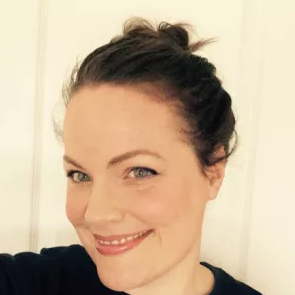 I may or may not have watched the first episode of the last season of Game of Thrones last night while drinking a Game of Thrones–branded beer and wearing a T-shirt printed with “Mother of Dragons.” Okay, fine, I did. Hi, I’m Emili, longtime GoT nerd. But I’m not alone! Enthusiasm for what’s being called the show of the decade is at a fever pitch—a fact consumer brands of all stripes have been eager to leverage. And now we can add Alex and Ani, the popular affordable jewelry brand based in Providence, R.I., to that list. In collaboration with HBO, the jewelry company’s released an 18-piece limited edition capsule comprising charm bracelets, button-style earrings, and pendant necklaces (and like winter, rings are coming). 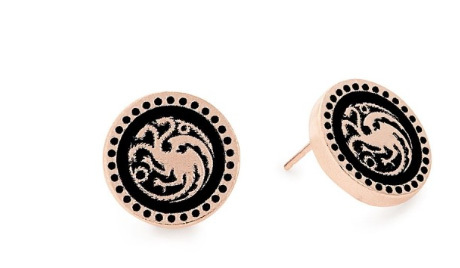 The pieces available now pay homage to Arya and Sansa Stark and the houses Lannister and Targaryen (for non-watchers, these are two of the show’s warring families). Finishes on the base metal pieces, which range from $39 to $59, include sterling silver and 14k gold over sterling silver. 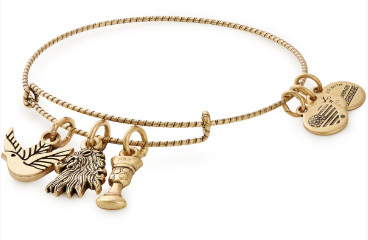 The expandable bangle bracelets are classic Alex and Ani: Each features several charms specially made for the series. 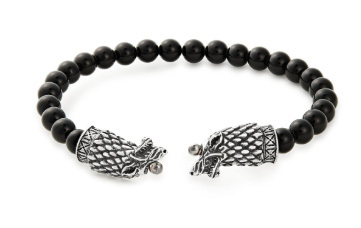 The Targaryen bracelet, for example, “was crafted to embody the positive energy of Daenerys Targaryen,” according to the product description. Its charms: a scaled dragon egg, a dragon head, and an arrowhead-shape charm that symbolizes dragon glass—the kryptonite of GoT, capable of defeating those dastardly White Walkers (did I just write that? Yes, I did). The pendant necklaces are also charm-ed and were curated to reflect aspects of certain characters and houses from the series. 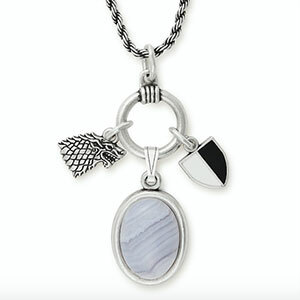 Sansa Stark, one of the show’s hell-and-back heroines, was the inspiration for the Sansa Stark Adjustable Trio necklace ($69). 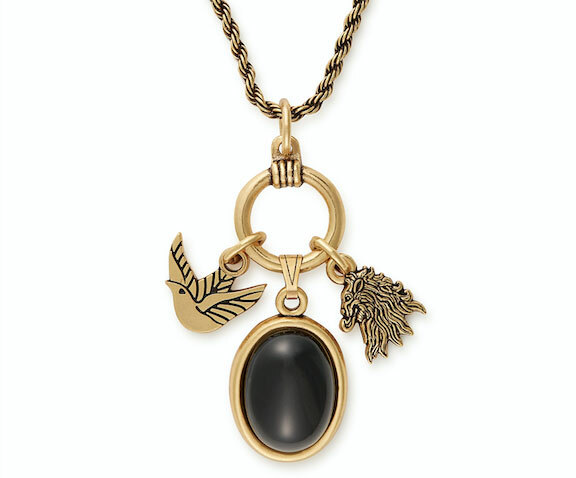 Its largest pendant is an aventurine stone, “prized as a protector of the heart, and Sansa’s is one of the strongest in Game of Thrones,” reads the product description. The circular symbol represents Sansa’s chain spike necklace with a metal ring and bar in the middle, while the wolf’s-head charm represents the sigil of the Stark family. Alex and Ani nailed it on the details. The in-the-know specificity of the designs will delight hard-core Thrones fans, who thrill in the show’s labyrinthine backstories and twisting plotlines. Winter may be coming, but it’s brought some cute jewelry with it.